Scouts is a worldwide movement that has shaped the development of youth and adults for more than 110 years. 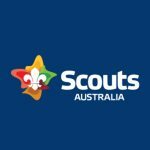 Scouts are in every part of our community and Scouts is the biggest and most successful youth organisation in Australia. More than 13,000 boys, girls, and adults in Queensland enjoy a huge range of activities. Scouts Queensland is a Child Safe organisation. Scouts Queensland is inclusive of all, regardless of gender, sexuality, race, religion, or abilities and does not tolerate any form of harm, abuse or neglect. As part of the Brand and Sponsorship team you will be responsible for supporting local Scouting through the identification and promotion of grant opportunities. You will also facilitate grant applications and funding opportunities consistent with the Organisation’s governance framework. Understanding of and commitment to the Mission, Purpose, and Values of the Movement. As part of our Employment screening process you will be required to undertake a National criminal history check. In addition there is a requirement to possess a current Blue Card for employment or apply for one if you do not already hold one. It is unlawful for a disqualified person to apply for a Blue Card, and, as such, disqualified persons cannot apply for this role. Scouts Queensland is an equal opportunity employer. Applications from Aboriginal and Torres Strait Islander peoples and people from culturally and linguistically diverse backgrounds are encouraged. To apply for this role please click on the “Apply” button. What’s your expected annual base salary? Which of the following Microsoft Office products are you experienced with?